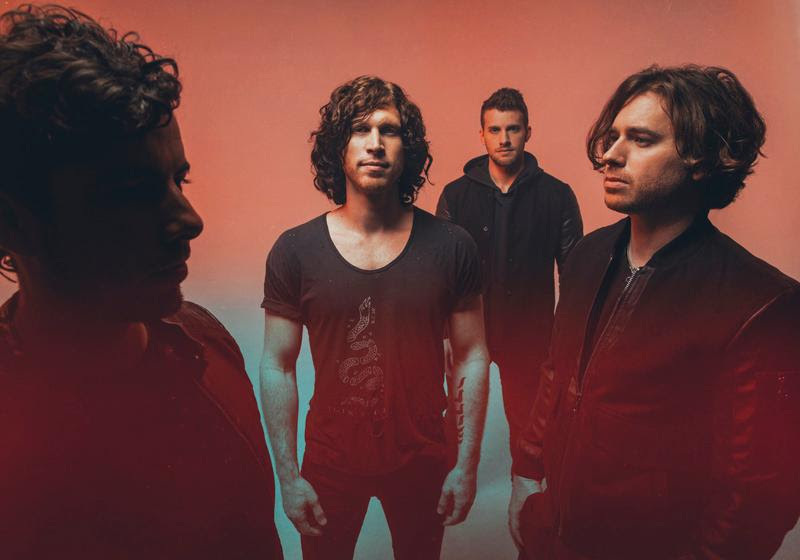 Nothing More has revealed the music video for "Just Say When," the third single from the band's album The Stories We Tell Ourselves. The stunning, acoustic ballad showcases the group's versatility, musicianship, and emotional substance, and features a captivating performance from Tate McRae (Fox Network's "So You Think You Can Dance") and D'angelo Castro (NBC's "World of Dance"). Directed by Daniel Cummings (Bon Iver), the video was shot at El Paso International Airport and depicts the innocence of young love and the emotional weight of love lost. Nothing More lyricist Jonny Hawkins shed light on the inspiration behind "Just Say When." "The day my mom died I met a girl.....this girl became my girlfriend and years later my wife. With fear of the past and hope for the future, we set sail with holes in our boat. As the inevitable pressures of life came pouring in, we sensed ourselves starting to sink. Two half-souls shoveling buckets of water, desperate to hold on to an imagined future, but not fast enough. Then one day she became my ex-wife. I felt in my gut that it was right, but every other part felt wrong. Whether people will admit it or not, I think our deepest fear is the loss of love. I found something to be more afraid of...settling... Luke warm...'Just Say When...'"
The 2017 release of The Stories We Tell Ourselves has the band (Jonny Hawkins/vocals, Mark Vollelunga/guitar, Daniel Oliver/bass, and Ben Anderson/drums) revved up in full gear - with no signs of slowing down. The album earned the band three nominations at the 60th Annual Grammy Awards earlier this year - including Best Rock Album, Best Rock Performance, and Best Rock Song for their #1 hit single "Go to War." Nothing More is currently touring throughout North America on the Crooked Teeth World Tour with Papa Roach and special guests Escape the Fate, and are announcing today a handful of headline dates for this run. The band will also be joining Five Finger Death Punch, Breaking Benjamin and Bad Wolves on tour this summer. All tour dates listed below. For tickets and VIP packages, visit www.nothingmore.net/.